Frida Kahlo is an amazing Mexican artist who painted her reality in such a creative and captivating way. She has become a traditional figure to read about during our Hispanic Heritage Month book reviews. A woman who has overcome so much pain in her life. It has been so enjoyable to learn about her life. Books we have reviewed in the past years haven’t filled the craving we had for knowledge, although they were amazing to peak our interest, introduced us to Frida and inspired us. Who Was Frida Kahlo? written by Sarah Fabiny illustrated by Jerry Hoare is an amazing book for children to learn about the Mexican artist Frida Kahlo. This book is perfect for anyone interested in an in-depth look at Frida Kahlo’s life. It is a lovely book with wonderful illustrations and it is, completely age appropriate. There were even additional historical facts included about the time and places Frida lived through/in. We highly recommend this book to you if you are interested in learning about Frida Kahlo. 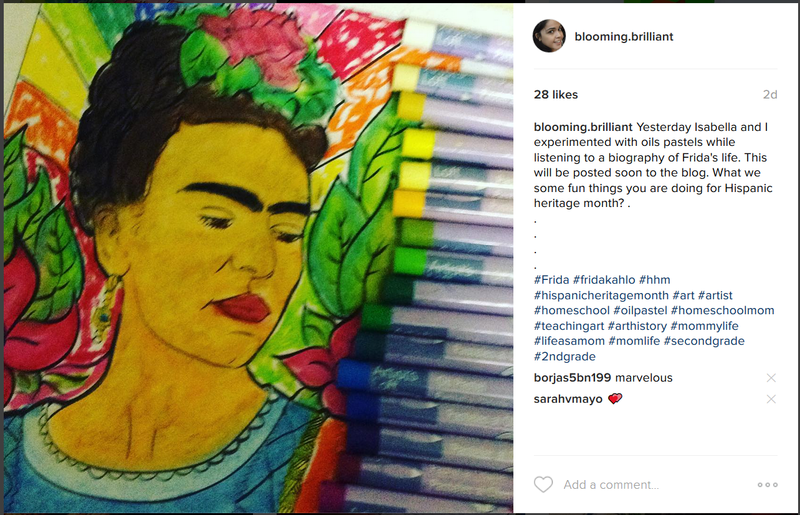 PBS has a Teacher’s Guide and Parent’s Guide for the Life and Times of Frida geared toward the 10th-12th grade. Check out Jammies Collage for an amazing Artist Study pack, which include copy work and note-booking pages we used it for copy work and to write down some facts from the story we read. We collected a couple of coloring pages from the internet and experimented with different media. Earlier this week we posted some fun activities we were doing on Instagram. Printable is from Pearmama.com and we experimented with watercolor pencils. 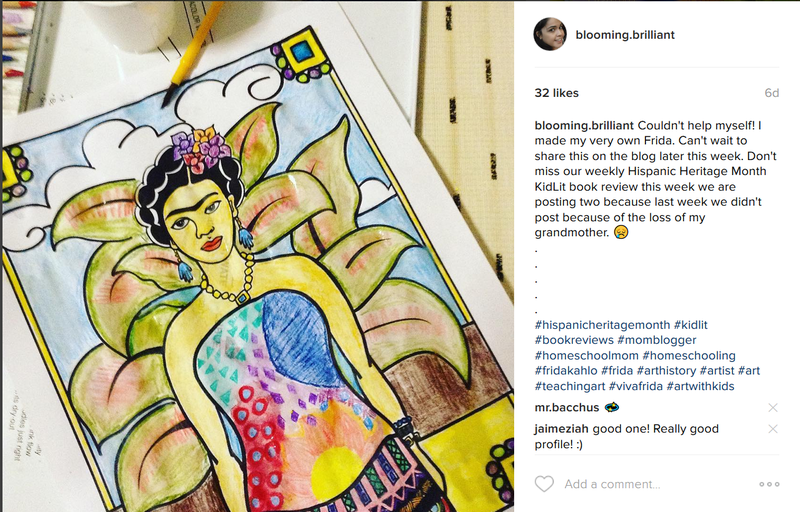 We loved that we were able to design Frida’s body cast with our own art. Printable was also from Pearmama via latinamom.me, with this color sheet we experimented with oil pastels.